DAVID LE/Staff photo. 4/17/15. 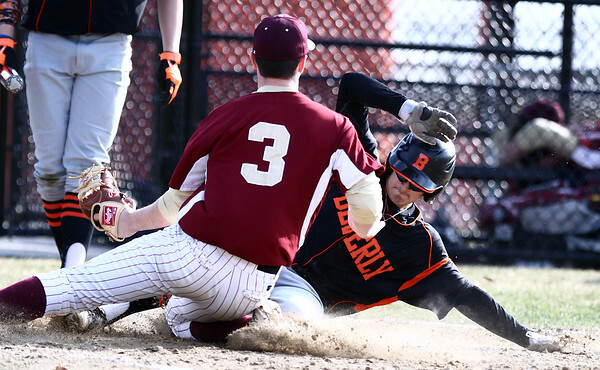 Beverly sophomore Frankie DiOrio slides safely under the tag from Newburyport pitcher Dan Baribeault (3) as he scores on a wild pitch to extend the Panthers lead over the Clippers.